The Basic Loan is one of the most popular loans available since you pay a lower interest rate and the low costs to operate, however it comes with minimal or more often no added extras. Before you go with the basic loan make sure that you don’t need any extras (for example a credit card or offset account) as the costs of getting them separately can quickly erode the benefit of the lower interest rates and low operating cost. Discipline – regular repayments help you with budgeting. Often lending institutions will offer a Honeymoon period with lower (discounted) interest rates to motivate you to choose their loan. The benefits of this discount (or honeymoon period) are short-lived as the remaining years on your loan are charged at a standard variable rate. The interest rate is usually higher than Basic Home Loan rates. May have a large jump in interest rate after the honeymoon period ends. This loan has a set interest rate for a set period of time. This means you know exactly what your repayments will be for the term of the fixed rate loan and in a market with rising interest rates this could save you thousands of dollars over the loan term. Fixing the interest rate for a period of time insures against future interest rate rises. Do not get the benefit of falling interest rates. Most lenders limit the amount of extra repayments that can be made each year. This loan combines the benefits of both a variable rate and fixed rate loan, conversely it also combines the disadvantages. These loans are for borrowers who want to hedge their bets. They give the borrower the flexibility of a variable loan and the security of a fixed loan. Generally, taken out when the direction of interest rates are rising or when they have no clear direction. With this type of loan, you nominate how much of the loan you would like to fix and how much you would like to put on a variable rate. This can simplify the transition between properties. Often homebuyers find a new property they want to purchase before settlement has occurred on the existing property that they are in the process of selling. Bridging finance is effectively a loan secured by both your existing and new properties. The lender will take on your existing mortgage and finance the purchase of your new property. Depending on the equity in your current home, you may be able to include all the fees too. The interest charged to your loan can be paid by you or capitalised (added to the loan amount). When the original property is sold, the proceeds are deposited to the new loan. The amount owing becomes your end loan and normal repayments commence. If there is a delay in selling your existing home the interest bill can add up. May have to sell your existing home at a price lower than you want to. You must have sufficient equity in your existing property to support the purchase of both properties. Low Documentation (Low Doc) loans provide flexible financing solutions for self-employed people. Low Doc loans are designed for customers who have an income and assets, but are unable to provide the usual verification documentation like financial statements and in some cases, tax returns. Low Doc Loans can take the form of variable rate, fixed rate or line of credit loans, where the specific features and benefits of the chosen loan type will apply accordingly. Do not need to provide all of the traditional income documentation to the lender. Often provides faster access to your loan and with greater flexibility. You may be at risk of over committing yourself if your income drops significantly. Offered by Specialist Lenders usually a flexible home loan product for borrowers who are unable to meet the requirements of traditional lenders. If you have experienced financial problems in the past, bankruptcy or bad credit history, this is the loan to help you re-build your bad credit rating and obtain a mortgage. Allows borrowers to have a fresh start and with the chance to re-build their credit rating. Non judgemental and flexible lending rules. Open to considering non-traditional and irregular income sources. Higher interest rates and fees. Larger deposit required than with traditional lenders. The line of credit is a solution for customers who are comfortable with managing their own debt reduction program. It is a flexible loan that allows the customer to consolidate their financial affairs and use the equity in their home to build wealth or increase the flexibility of their finances. Once the line of credit is approved you can draw down the balance at any time for any purpose; share investments, home renovations, new car, overseas holiday or any other purpose you can think of. This loan type requires great discipline. Money is easily accessed by cheque, ATM or online transfer. You can use it for living expenses or for investment. You can deposit your salary and savings directly into the loan account reducing the monthly interest. Need great discipline with this loan as the ease of withdrawing funds means it can get out of control quickly. 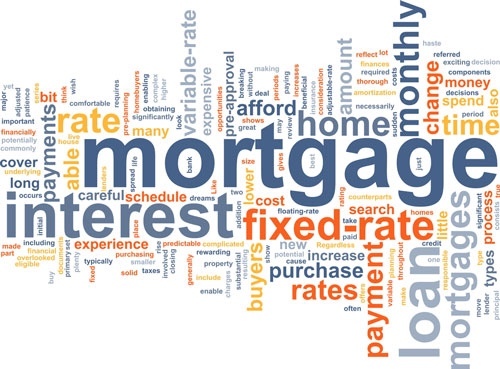 Usually has a higher interest rate than Traditional Variable Rate and Basic Loans.